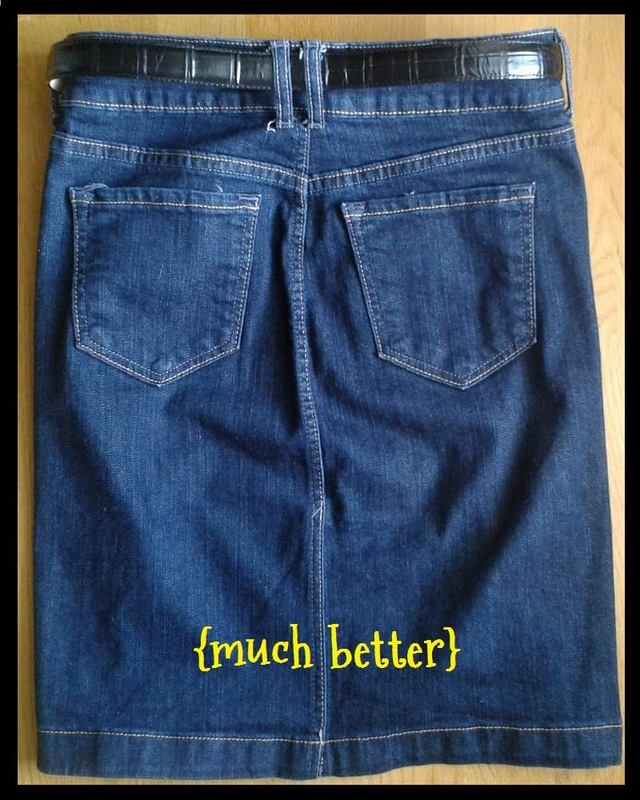 Dear Cute Little Denim Skirt: Yes, it’s true, you are a great, simple staple in my closet as we move into fall. But seriously, Little Skirt, is the back slit that practically goes up to my hoo-hah really called for? I have small children… and with small children comes lots and LOTS of bending down. Can you not help a sister out here? Oi. But thank you very much to about two minutes (or less) and my old friend Sewing Machine, your transgression has been put to rights. 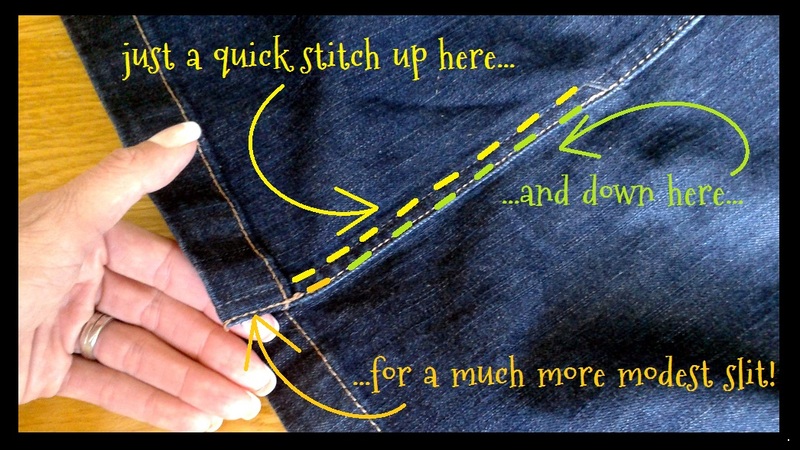 One quick stitch up one side and another row down to reinforce, and you’re ready to go. Ah, much better. Let’s have no more problems from you, mkay, Little Skirt? Good. 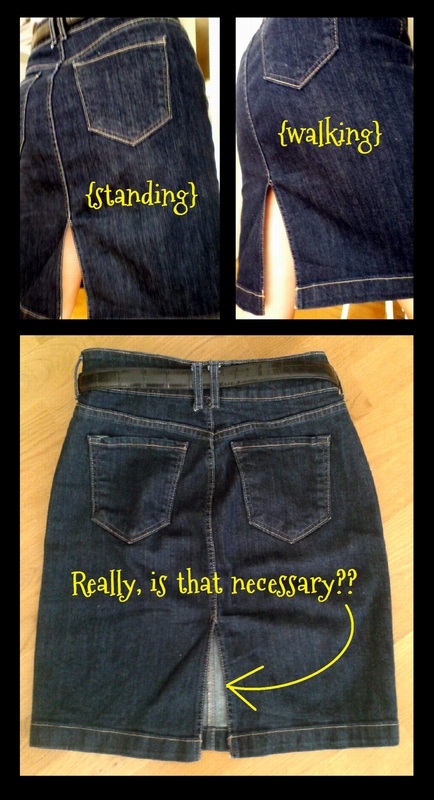 So, anyone else out there looking for a quick fix for a skirt slit gone wild?